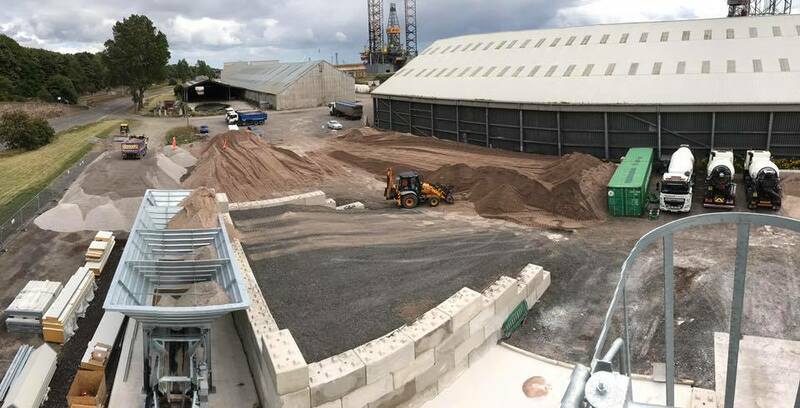 Another big day, first delivery by ship of 7,500 tonnes of sand and stone from Aggregate Industries Glensanda superquarry. Great service from Strathore Plant Hire Ltd on the haulage and machines. It’s going to be a long day regardless.